In the early days of the BBC’s Top Gear show, aired every Thursday evening on BBC 2, presenter Chris Goffey was a very influential voice in UK car culture. And on one such Thursday evening in 1986, he was among the first to drive the recently-launched diesel-powered Range Rover. It did not go well. On film, Goffey made his feelings for the 2.4-liter VM-powered diesel Range Rover quite clear. Range Rover had built its success on the performance and refinement of its 3.5-liter petrol V8, and the less refined diesel engine alternative took some time to catch on – partly down to Top Gear’s unfavourable review. The interesting back story however, is that the Range Rover delivered to Top Gear never went through a PDI (pre-delivery inspection), let alone a detailed preparation by Land Rover’s famed press garage and vehicle operations team. For some reason, this one, to the company’s great cost, slipped through the net. Land Rover Legends Content Director, Gary Pusey, said: "A lot was riding on the new diesel Range Rover at the time, and the team involved in creating it were understandably very disappointed by the negative media coverage. 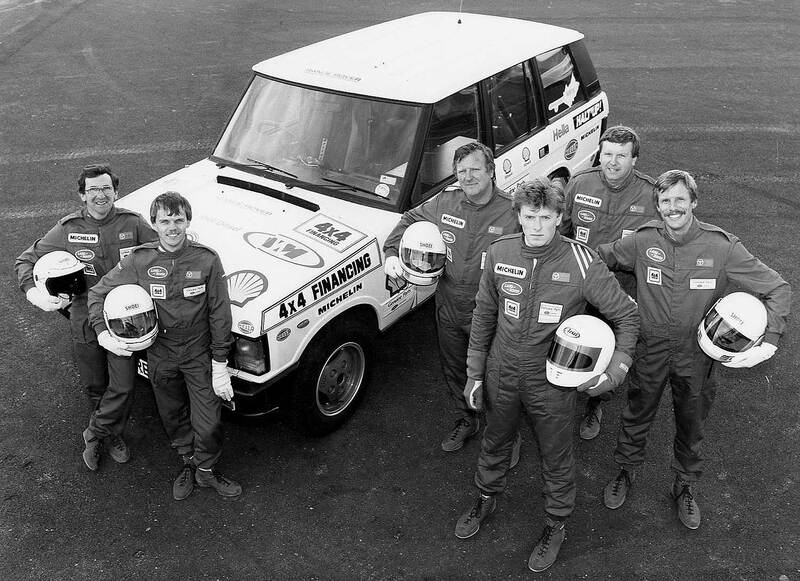 A manager at Land Rover who was into competitive motor sport came up with the idea to make an attempt on a raft of diesel vehicle sprint and endurance records, and the project quickly gathered momentum. Two VM-powered cars subsequently took 27 sprint and endurance records at MIRA." What made the team’s achievement all the more remarkable was that they were volunteers, working unpaid and in their own time, with a passion to set the record straight. We are delighted to announce that some of the remarkable Bullet record-breaking team will be sharing their experiences in person at the Land Rover Legends show." To meet safety requirements and allow for rapid pit-stops, the Beaver Bullet was subject to a number of modifications including two racing-spec fuel fillers on the rear tailgate, a full internal roll-cage, integrated radio communications, quick release bonnet catch and some other minor alterations, such as the removal of passenger and rear seats. B378 TAC is presented in original and unrestored condition exclusively at Land Rover Legends in May. The VM-powered Range Rover went on to achieve huge sales success in continental European countries that were pro-diesel and subject to punitive tax regimes on vehicles with engines greater than 2.5 liters, although it was never a big seller in the UK. The 2.4-liter was replaced with the larger 2.5 in 1989, a year which saw 75% of all 4x4s sold feature diesel powertrains – which in turn led to more investment in diesel engineering and the subsequent exponential improvements in refinement and performance still enjoyed by the majority of SUV owners today. Part of the ‘Star Cars’ feature presented by Mark Evans at the Land Rover Legends show, the Beaver Bullet is among the most famous and significant Range Rovers ever built, and is a wonderful testament to the enthusiasm, dedication and commitment of the team of volunteers who secured the records and put the new Turbo D on the map. There are many other ‘star’ Land Rovers out there – some better documented than others – and to help unearth those less famous, Land Rover Legends has teamed up with show partners Footman James and Farer to host the first National Awards for Land Rover vehicles. Leading classic car insurer Footman James will present the Land Rover Legends Award for the vehicle and story that depicts the true essence of the iconic marque. In addition, Farer, Britain’s most intrepid watch brand, will present the National Award for the Most Original Vehicle – recognising authenticity, character and patina of age in an unrestored state.